Sarean #37. Calligraphy, Typography and New Technologies were the three main subjects addressed in the interview. 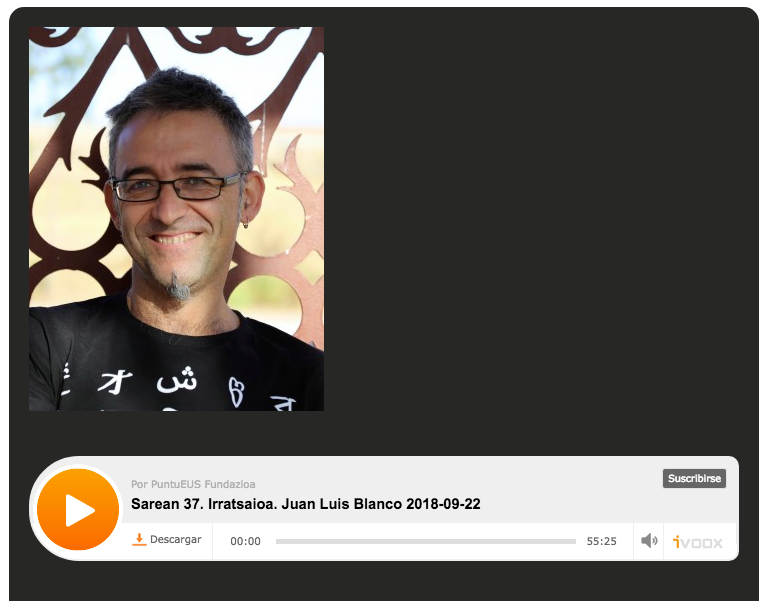 Few days ago I was interviewed in Sarean, a radio programme of the Basque Radio in collaboration with Sarean.eus association. We talked mainly about Calligraphy and Typography. We also discussed how new technologies make the production of comercial fonts easier, cheaper and faster. We went through the whole type design process, from the first sketches to the tools used for the final production of digital typefaces. Glad to see Typography is gaining presence in my near environment. If you are curious and want to know how “type talk” sounds in Basque, clic on the image or follow this link.